Our deal with them is that we had to wait six months after their film is launched so there wouldn't be a confusion in the marketplace. They said 'It's a movie!' and I said, 'No, no, no, it's a TV show.' Actually, we're both right. So they kept the feature film rights, we kept the television rights; they have Star Trek Beyond coming out July 22. Since Star Trek Beyond doesn't premiere until July 22, 2016, six months later obviously doesn’t fall until the end of January 2017, which is exactly when CBS plans for the upcoming Star Trek TV series to start streaming. Yes, streaming. 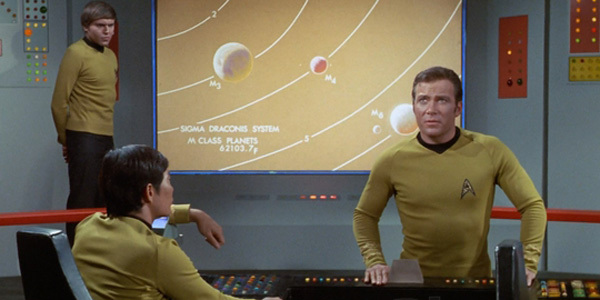 If you’ve kept up with CBS’ plans at all, you should know the company wants to use Star Trek’s avid fanbase to give greater prominence to the network’s CBS All Access streaming service. The first episode will also air on the regular network, but other episodes will air on CBS All Access exclusively, at least in the US. (International distribution for the upcoming show is also being worked out). That subscription will cost you $5.99 per month, but it will give you access to the network’s current shows, as well as its backlog. Star Trek TV fans still have a while to wait before we get to boldly watch the characters go where no man has gone before. However, we should be getting to the point where the show really starts coming together over the next few months, although we do currently know that Bryan Fuller, Nicholas Meyer and Alex Kurtzman are all involved. Once a few more names start to be added, we’ll keep you updated every step of the way. In the meantime, here’s what else the network has coming up.